KATHMANDU, Feb 2: Following appeals from various professionals, civil society leaders and politicians including former president Dr Ram Baran Yadav to save his life, Dr Govinda KC ended his fast-unto-death on Friday evening. 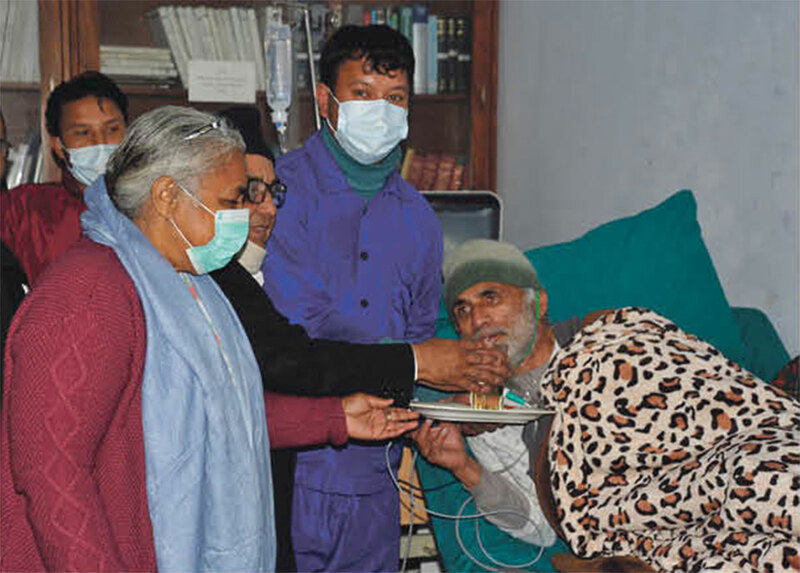 Dr KC ended his hunger strike, taking some fruit juice from the hands of former chief justice Sushila Karki and former speaker Daman Nath Dhungana. Former president Dr Yadav, former chief justices Karki and Kalyan Shrestha, former speaker Dhungana and Nepali Congress President Sher Bahadur Deuba, among others, had appealed to Dr KC to end his hunger strike as the government was totally indifferent toward his demands. Prof Kedar Bhakta Mathema, coordinator of the erstwhile high-level committee on education, and its then members Prof Dr Madan Upadhyaya, Prof Dr Ramesh Kanta Adhikari, Prof Dr Arjun Karki and Prof Dr Bhagwan Koirala, also issuing a statement Friday, urged Dr KC to rethink his hunger strike despite all his demands not been addressed in the Medical Education Act . Dr KC also issued a statement Friday evening saying that his peaceful movement for reform in the medical sector would continue. He said the present KP Sharma Oli government worked in the interest of certain groups instead of addressing the genuine concerns of ordinary people, and it had became dishonest and incompetent. "I ended my strike in appreciation of the gravity of the situation in which people were not getting any treatment in hospitals,” the medical reform crusader said in the press statement. Dr KC further said that the Medical Education Bill has been approved from both houses of parliament and the government deceived the people in not implementing the agreement it signed with him . “I will never accept the new law brought in for the benefit of a certain group of people,” he said. 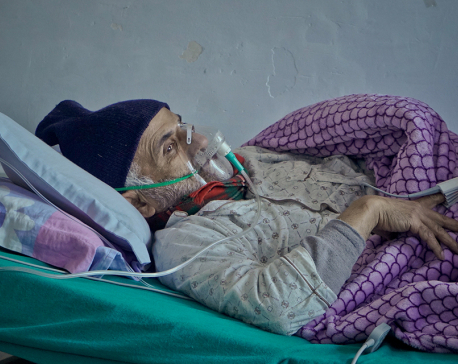 Friday is the 24th day of the 16th hunger strike staged by Dr KC, whose health condition is deteriorating critically. He has now been transferred at the intensive care unit . His 15th and longest fast-unto-death ended on 27th day on July 26, 2018. Meanwhile, all services except emergency were halted in government, public and private health facilities across the nation Friday after Nepal Medical Association (NMA), the professional organization of doctors, called for the nationwide protest in support of Dr KC. The government arrested 18 doctors, including President of National Resident Doctors Association Dr Sumit Pandey, while staging a protest at Maharajgunj in support of Dr KC's demands. 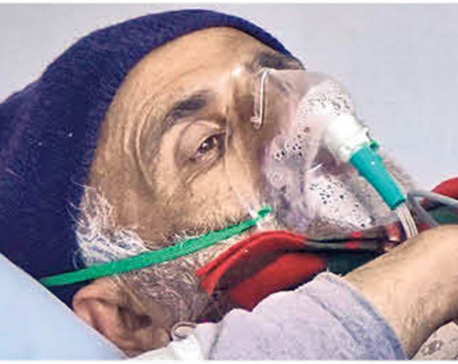 Dr KC, who has now staged hunger strike for a total of over three months since 2012, began his latest fast-unto-death from January 9, insisting that all his demands be addressed as per the agreement signed with him on July 26. The major demands flouted by the newly-approved bill include allowing Tribhuvan and Kathmandu universities to grant affiliations to more than five medical colleges outside Kathmandu Valley and not phasing out medicine-related courses below proficiency certificate level under the Council for Technical Education and Vocational Training (CTEVT).